The remarkable story of James Howard “Billy” Williams and his bond with the elephants of Burma. In 1920, Williams took a job in the teak business, drawn by the lure of working with the world’s largest land animals. It was love at first sight. Impressed with their intelligence, courage, kindness, and humor, he believed that just living with them made him a better man. He worked to cure their ills and he fought for their humane care. Over time, Williams’s uncanny rapport with the elephants transformed him from a carefree young man into the charismatic war hero known as Elephant Bill. 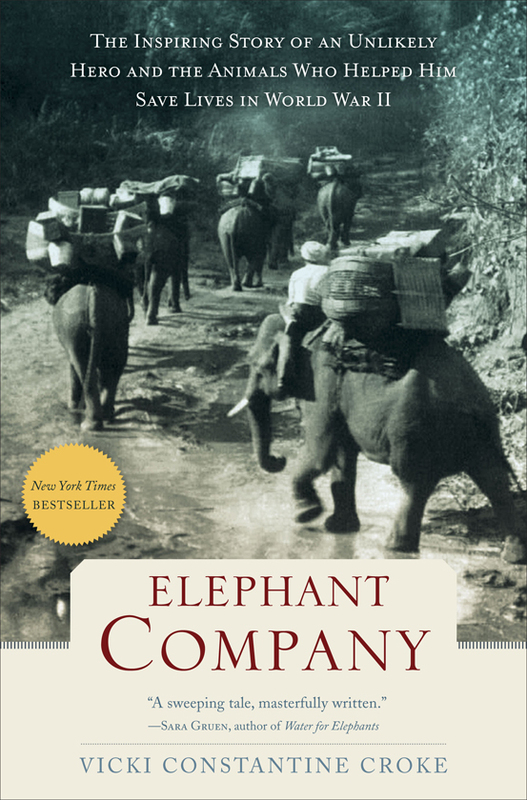 Elephant Company is also a tale of war and daring. When Imperial Japanese forces invaded Burma in 1942, Williams joined the elite Force 136, the British dirty tricks department, operating behind enemy lines. His war elephants would carry supplies, build bridges, and transport the sick and elderly over treacherous mountain terrain. Though smaller than African elephants, the tuskers in Burma could stand nine feet at the shoulder. To Williams they were every bit as magnificent as he had hoped. Now well versed in the ways of the jungle, an older, wiser Williams even added to his stable by smuggling more elephants out of Japanese-held territory. As the occupying authorities put a price on his head, Williams and his elephants faced his most perilous test. In a Hollywood-worthy climax, Elephant Company, cornered by the enemy, attempted a desperate escape: a risky trek over the mountainous border to India, with a bedraggled group of refugees in tow. Elephant Bill’s exploits would earn him top military honors and the praise of famed Field Marshal Sir William Slim. “A spellbinding, true story of elephantine and human courage, set in one of the Earth’s most exotic jungles during the Second World War, Elephant Company is a triumph that will make you cheer! I loved both “The Elephant Company” & “The Lady & the Panda”…Fascinating animal advocate’s truelife stories. Vicki Croke’s writing is excellent. She makes the people & animals come to life. I could not put these books down until the last page & even then wanted to know more. Looking forward to mre by her.